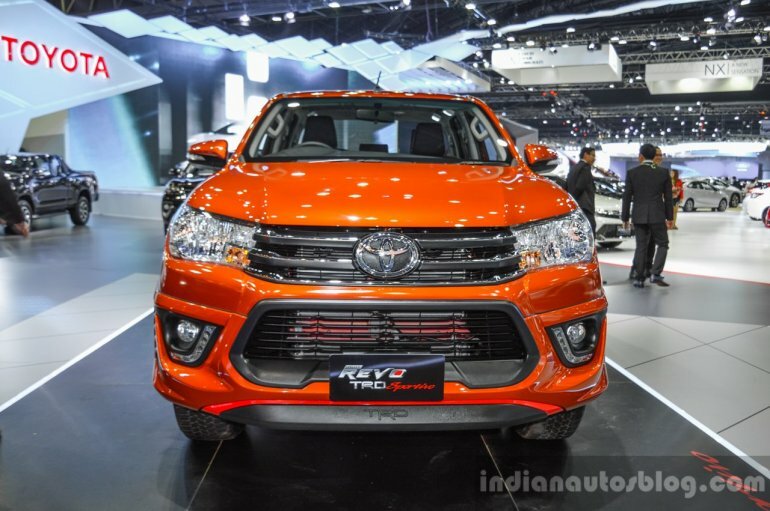 Toyota's range of TRD Sportivo models at the 2016 Bangkok International Motor Show also includes the Toyota Hilux Revo. The Toyota Hilux Revo TRD Sportivo is available only in extended cab and double cab body styles. 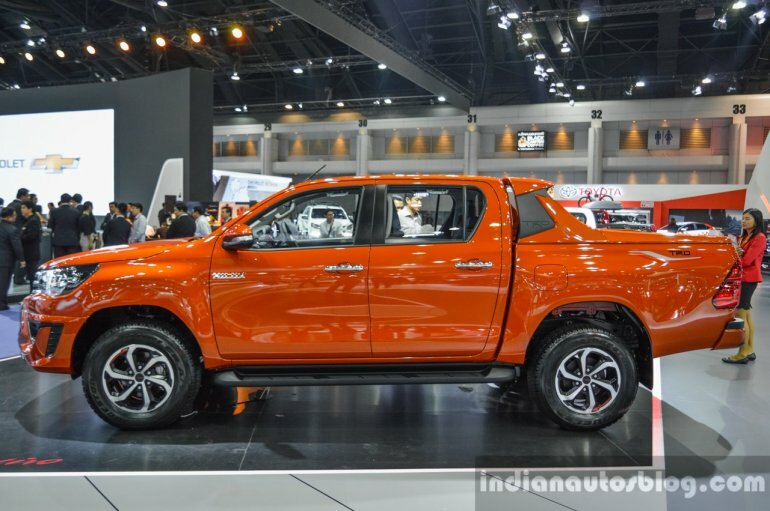 The Toyota Hilux Revo TRD Sportivo's standard features include chrome front grille with Black Line, TRD Sportivo rear bumper, carbon kevlar front console with red line, synthetic leather and black fabric seats with red stitches and TRD logo, black door panel with carbon kevlar and synthetic leather, leather steering wheel with red stitches, black parking brake with red stitches on the cover, TRD Sportivo floor mat and red seat belts. Toyota is also offering special accessories for the TRD Sportivo variant. These include LED daytime running lights, TRD Sportivo front skirt, TRD Sportivo side skirt, sport bar and bedliner, TRD Sportivo sticker. The standard features and special accessories vary as per the body style and trim level. The Toyota Hilux Revo TRD Sportivo is powered by a 110 kW (150 hp) 2.4-litre diesel engine. The GD series engine produces 400 Nm of torque when had with the 6-speed manual or 6-speed automatic transmission, or 343 Nm of torque when had with the 5-speed manual transmission.